the best deal on ice cream in town! Half the price of POPS Ice Cream Shop. That’s my coffee and carrot cake at the first table with my shopping bags. 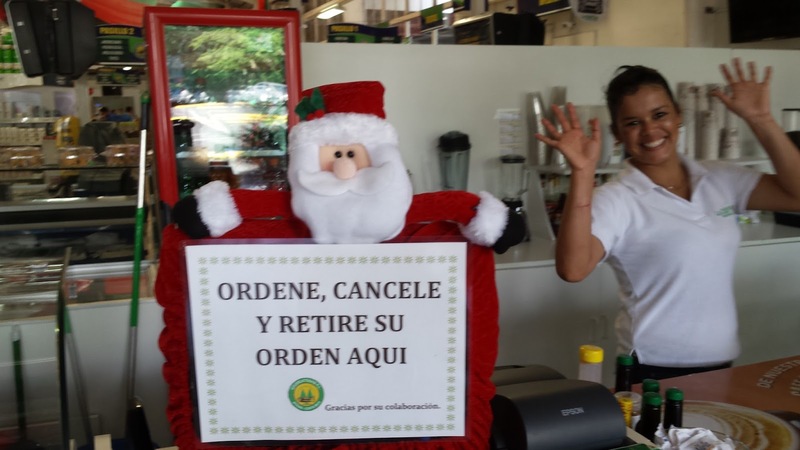 And fun, friendly Ticas behind the counter with Santa on the Cash Register! Helados is ice cream. They have sandwiches too! And Gourmet Coffee! 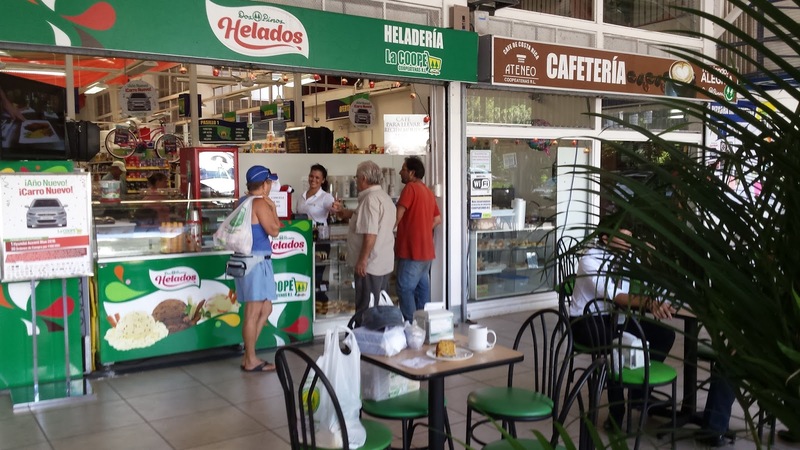 Many of their bakery items are from Crema y Nata, my favorite bakery. This same sign is in most “fast food” restaurants, called “cafetería” here.